Concert at the Leonard Auditorium at Wofford College, 427 N. State St. at 7pm. Concert at the Penn-Griffin School of the Arts, 825 E. Washington Dr.at 7pm. Contact Mike Connors to reserve tickets. The SC Three Rivers Harp Ring will host 2 1-hr workshops with the artists, starting at 7pm. $75 per person. Redbird School of Irish Music and the SC Three Rivers Harp Ring present at Conundrum Music Hall, 626 Meeting Street at 8pm. House concert for Bella Issakova in Morningside at 7:30pm. Potluck at 6:30pm. Tickets $15 and must reserve in advance koko4note(at)yahoo.com or call (404) 926-6438. House concert for Judy Johnson at 4pm. Seats by advance reservation only. Tickets $20/adults, $12/students. Call 850-877-0247. Workshops may be scheduled for the evening. Stay tuned. Lakeside Music Room house concert at 7:30pm. Contact Sally for tickets: (863) 293-1510. 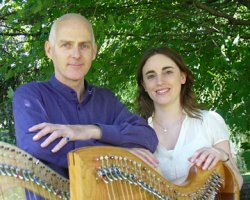 Workshops and concert at the Somerset Folk Harp Festival for their Saturday & Sunday schedule. Workshops starting at 6pm for SOPHIA (Saguaro/Old Pueblo Harpers) the AHS/ISFHC chapter, organized by Lorna Govier. Concert for Tucson House Concerts at 8pm. Contact Melissa at 520.275.3811 to reserve a seat. Living Traditions presents a concert at Riordan Mansion Visitor Center, 409 W. Riordan Rd. Advance tickets $15. $18 at the door. Four Peaks Irish Arts presents a house concert in Scottsdale at 7:30pm. Call Mary Hill Connor at 602-635-9760 to reserve tickets and get location. 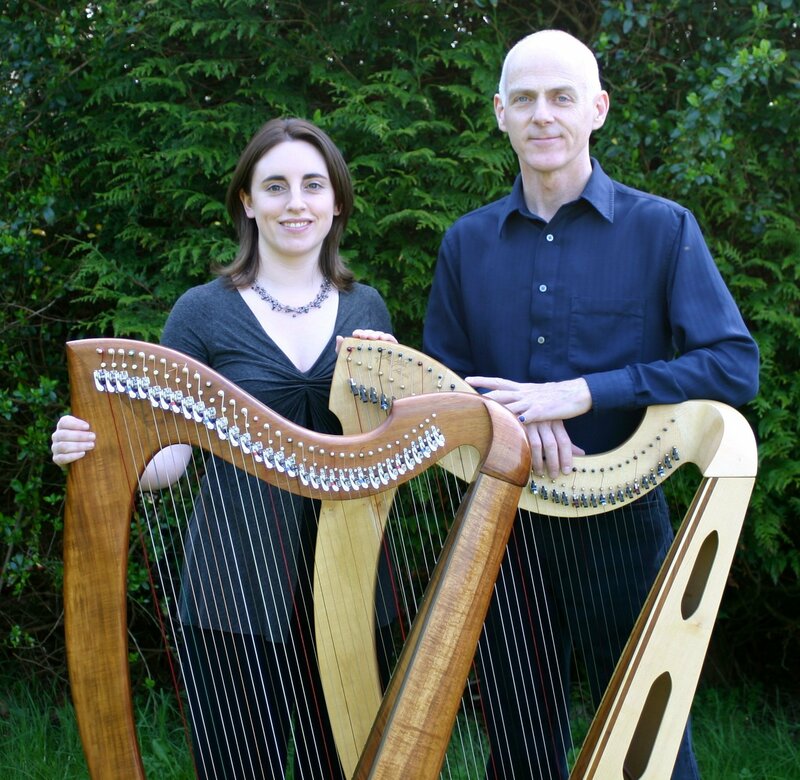 Concert at the Museum of Making Music for their harp exhibition at 7pm. Concert at Liberty Hall at 3pm. Tickets $15. Students/seniors at $10. Contact Monique to reserve tickets 406-848-0089..
Irish Music Concert Series sponsored by the Friends of Irish Studies at the University of Montana in the UM Recital Hall at 7:30pm. Tickets $20/door, $15/students. Irish Music Concert Series sponsored by the Friends of Irish Studies at the MT Tech Library Auditorium at 7:30pm. Tickets $20/door, $15/students. Concert for The Crossroads at Calvary Center for Culture and Community, 801 S. 48th St. at 7:30pm. Pittsburgh American Harp Society chapter in collaboration with the Allegheny Historic Preservation Society presents the Tifffany Concert Series at Calvary United Methodist Church, 971 Beech Avenue at 4pm. Tickets $10. Workshops at 1pm & 2:15pm in the same location. Performing at the Cranford Community Center, 220 Walnut Ave., at 7pm. Free. Performing and teaching at You Gotta Have Harp's Harpers' Escape Weekend. 21st great year. Sign-up in advance only. Champlain Valley Traditional Arts presents workshops and concert at the Charlotte Congregational Church, 403 Church Hill Rd. Concert at 7:30pm. Tickets $15. Workshop at 2 & 4pm. Concert at DelRossi's Trattoria Restaurant, Rt. 137, at 8pm. Tickets $12. Call Elaina at 603-563-7195 to reserve a seat. Concert for the Irish Ceilidhe Club of Rhode Island, 50 American St, at 7:30pm. Tickets $15. Cash bar and complimentary desserts. Call Sorrel for info at (401) 837-7181. Concert at the Chapel of Rest, 1865 Hwy 268, at 4pm. Music at the Morris series at the Morris Museum of Art, One 10th Street, at 2pm. Free. Copyright 2013, You Gotta Have Harp Productions.